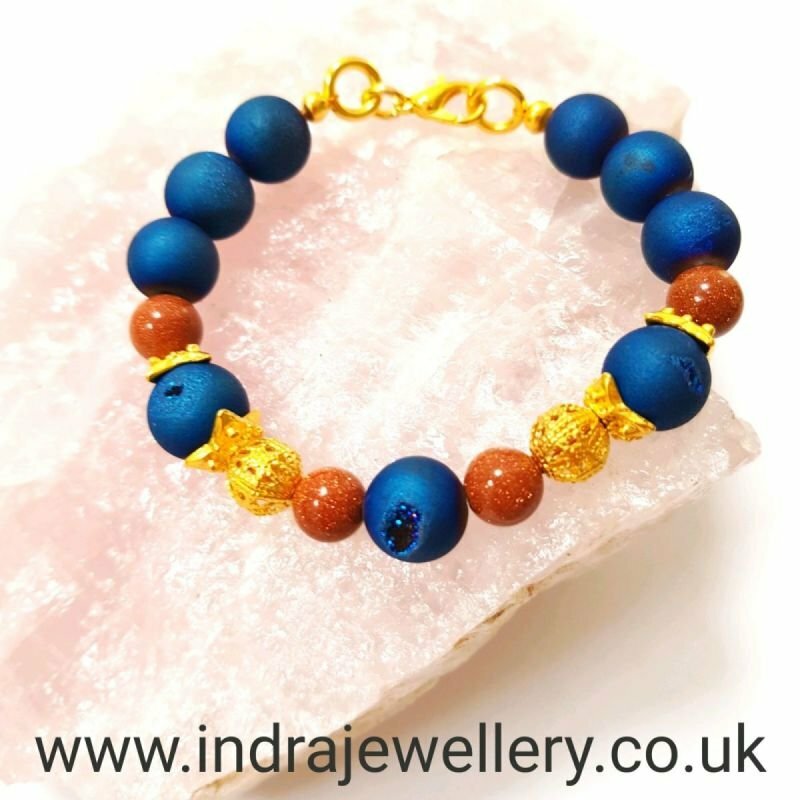 This is a really pretty and sparkly little bracelet, it has been made with matt blue druzy beads which are a beautiful royal blue in colour, being druzy beads they have little crevices on show exposing the gorgeous sparkly crystal inside. I have introduced some goldstone beads which are super sparkly in the light! The crystal beads have been seperated with little gold spacer beads to give this bracelet a gorgeous rich finish! This makes a perfect little gift which is affordable, pretty and unusual. Goldstone is great for reorientation, perfect for travelling or if you're feeling lost in life and need direction. Druzy Crystal will boost your imagination and creativity and induce relaxation. Druzy crystal will also help with your emotional problems.